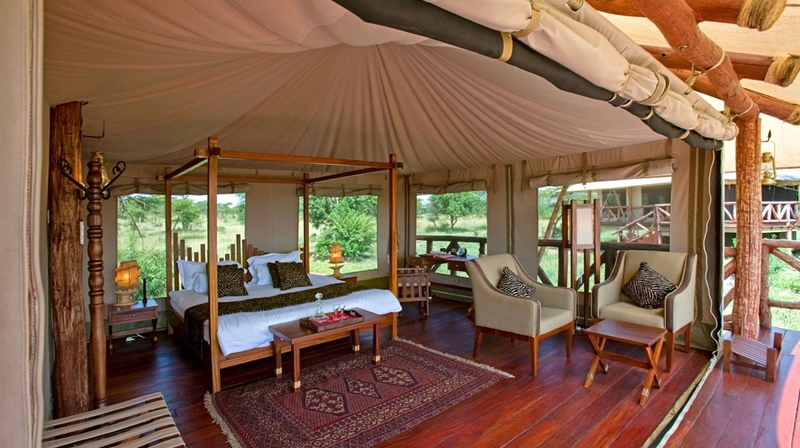 Nestled amidst an abundance of native flora and fauna, Mara Rianta Camp is the perfect base for a safari adventure. 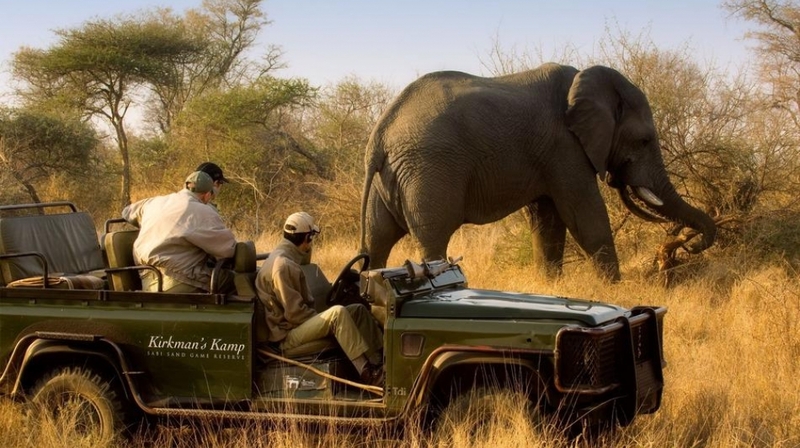 Guests can rub shoulders with diverse wildlife on daily game drives and admire the breathtaking natural beauty from another perspective, After a day of exploration in the African wilderness, soothe body and mind with an invigorating massage at the luxury hotel spa. 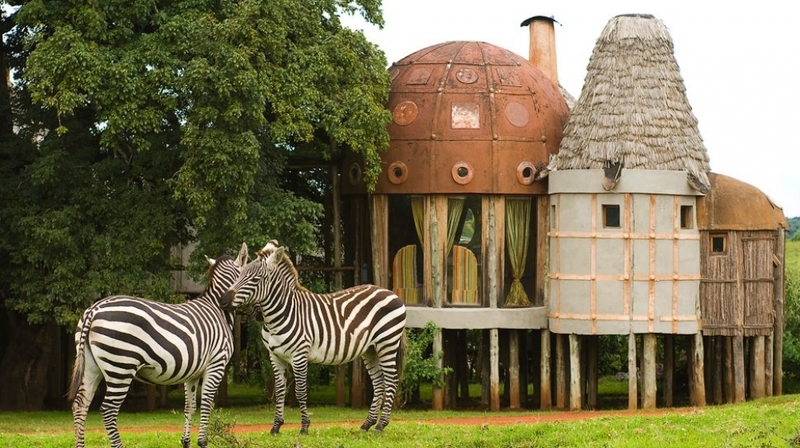 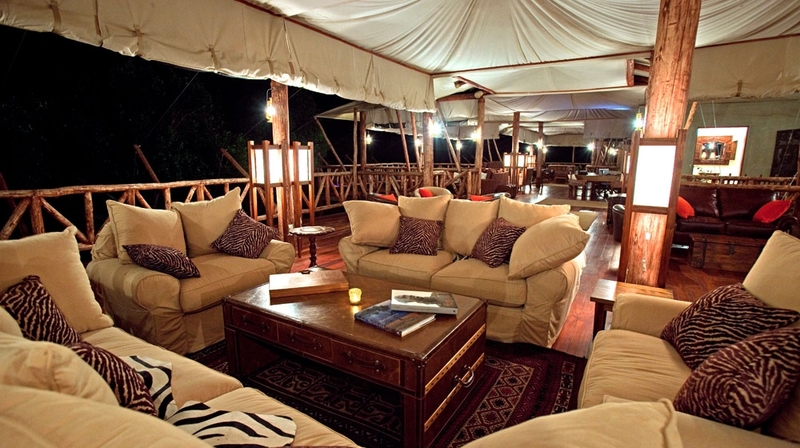 Retaining a classical safari atmosphere, Exploreans Mara Rianta Camp�s 20 stylish tents are built on elevated wooden platforms with private viewing decks to watch the abundant wildlife. 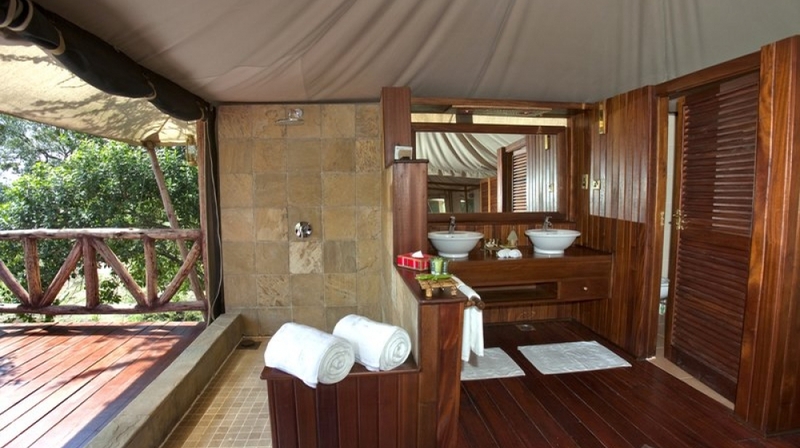 The en-suite facilities with solar-heated hot and cold running water consist of a large shower, two hand wash basins, a private WC with bidet shower and a Jacuzzi bathtub at some selected tents. 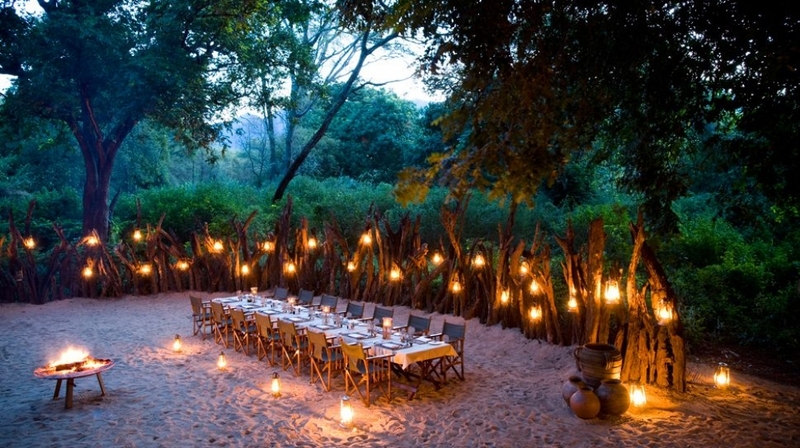 After a long day of exploration in the African wilderness, there is no better way of finishing the day than by indulging yourself in a pampering session that will immediately relax and soothe your mind and body. 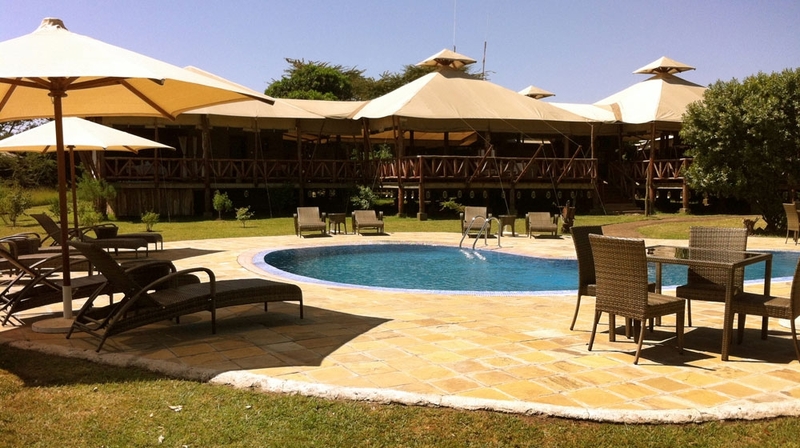 Mvua African Rain Spa is an oasis of tranquility where you can enjoy relaxing and invigorating massages, face and body treatments and many other signature treatments while being captured into the curative atmosphere of the unspoiled African bush and the gentle sounds of the Mara River. 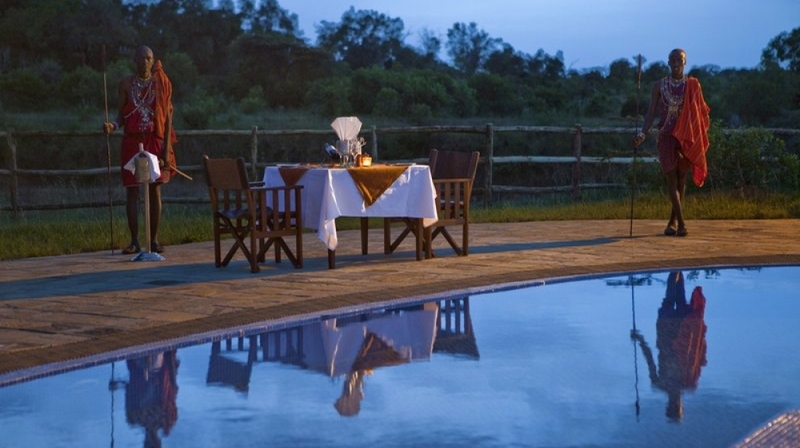 Dining at the Exploreans Mara Rianta Camp is an exotic adventure in itself, created from the abundance of fresh Kenyan produce the menus are a culinary journey to please the most discerning of palates. 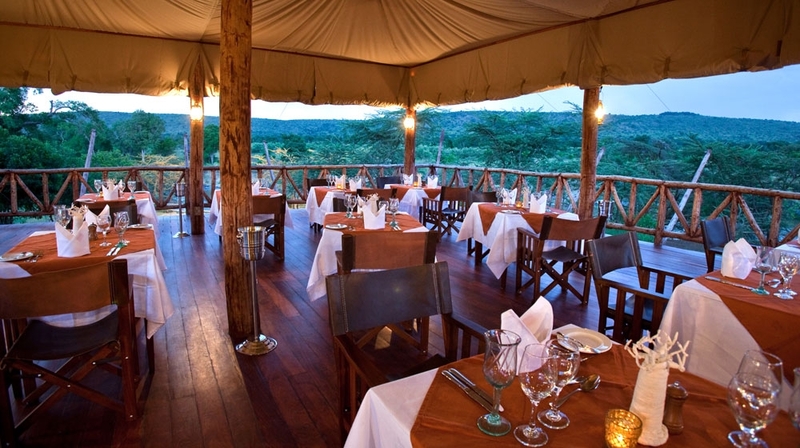 Breakfast and lunch are often served buffet-style, while dinner is a la carte with a choice of appetizers, pasta, main courses and tempting desserts and a selection of delectable cheese made in Kenya. 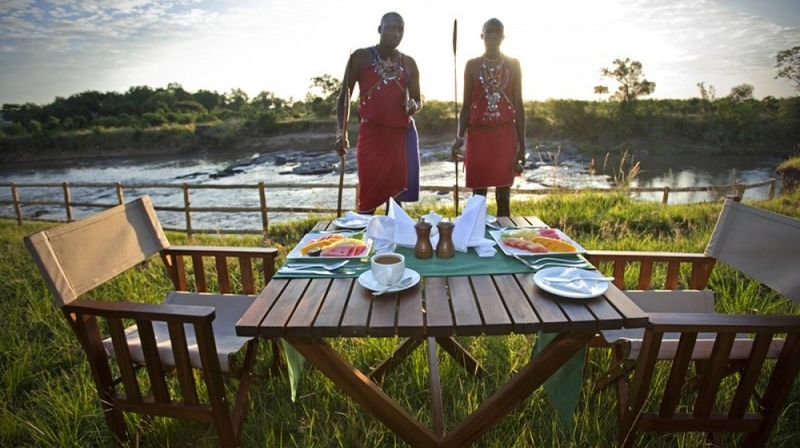 Around the pool, al fresco lunches and evening BBQs complemented by activities of Masai dancing, presentations and talks on the Mara's ecosystem and Masai culture create the truly unique Exploreans Safari experience. 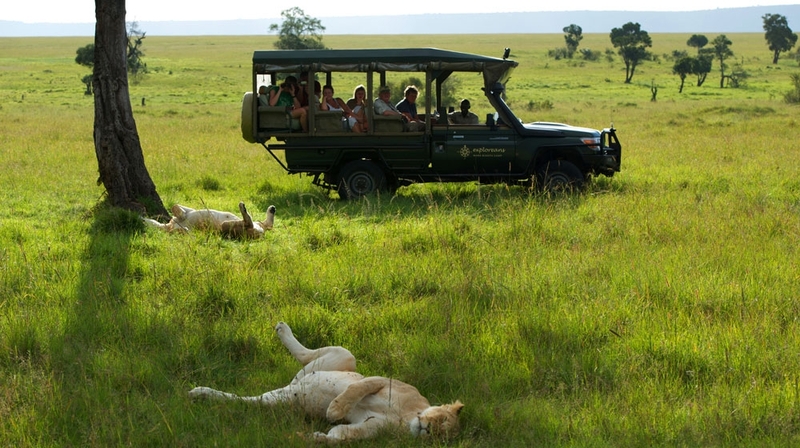 Game drives are guided by the camp�s experienced naturalist trained drivers and are by four-wheel-drive Land Cruiser. 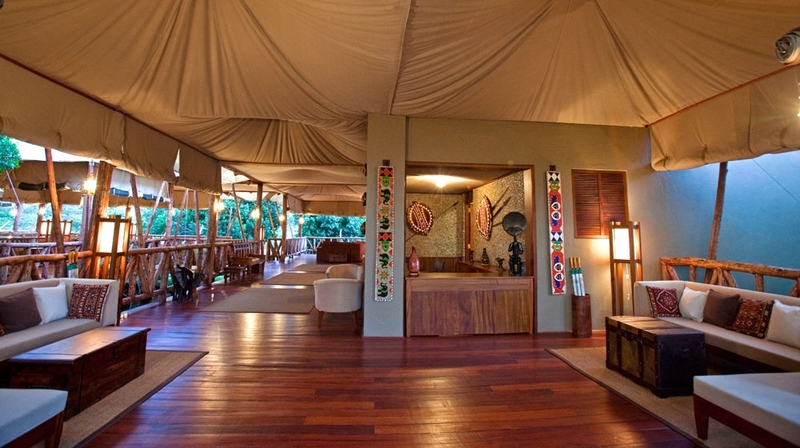 Transfers from the airstrip to the lodge are included in the room rates . 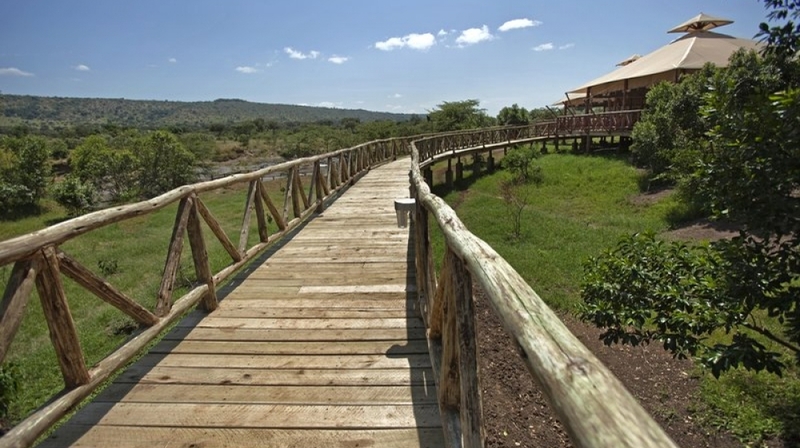 By Plane:Either by Safarilink or Air Kenya's scheduled daily flights from Wilson Airport in Nairobi to Mara North (Buffalo) airstrip.